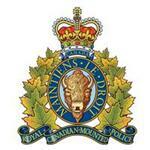 Pincher Creek RCMP - On August 24, 2017 at 5:15 pm, RCMP officers from Pincher Creek and Piikani Nation attended a three vehicle motor vehicle collision involving two pickup trucks and a semi. The collision occurred on Highway 507 and range road 27-2, approximately 30 kilometres east of Pincher Creek. The 66 year old female driver and 72 year old passenger from one of the pickup trucks were transported to hospital with serious injuries. While on route to the hospital the 72 year old male passenger died from his injuries. The driver of the other pickup and semi truck driver were not injured. The RCMP collision analyst was called to the scene and the matter is still under investigation. As this incident remains under investigation, no further information is available in relation to the cause or contributing factors of the collision.